Jack Sanzalone of Port Charlotte, Fla. spent almost three decades under the sea in atomic attack submarines keeping an eye on America’s enemies as the boat combed the deep searching for adversaries. The gold chevron on his left shoulder topped with a white crow, a white star in the center and three gold bars below indicated he was a rare breed. 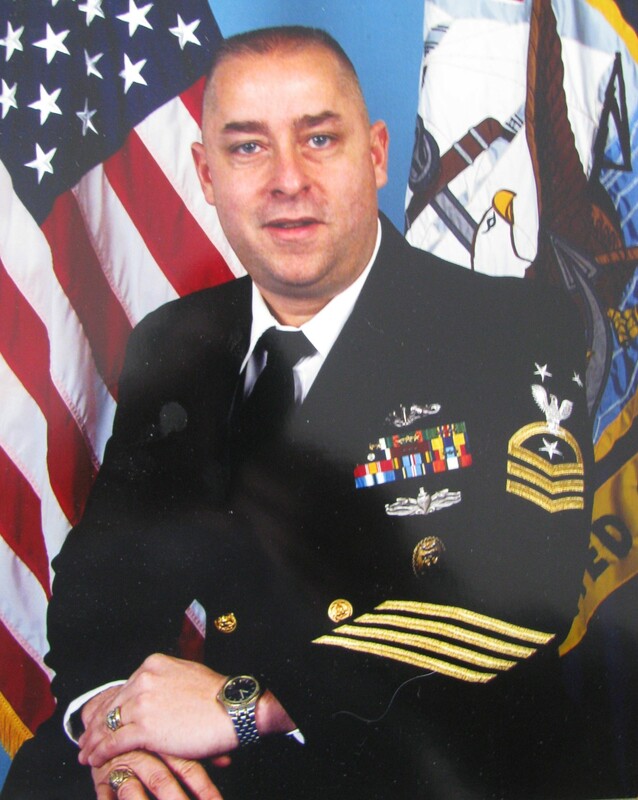 When he retired at 49 in 2011 from the U.S. Navy he was a Command Master Chief. There are slightly more than 700 in the U.S. Navy out of more than 350,000 who serve. He was one of the Navy’s senior enlisted men. When Sanzalone graduated from high school in 1980 he began working as a diesel mechanic. “One day while doing a chassis rebuild on a garbage truck I had an epiphany,” he said. “It was the heat of the summer in New Jersey and I was lying underneath the garbage truck. Maggots were coming out of the back of the truck. I decided it was time to pursue another way of life. At the conclusion of boot camp Sanzalone was selected to receive “The Navy League Award.” The award honored the sharpest recruit in his training cycle. “I remember meeting with a female admiral and she put a book in front of me with the various positions opened to a Navy recruit. Because of my test scores, she told me I could pick any job in the book. “Because I liked numbers, I selected navigation. I became a quartermaster. I went to Quartermaster’s School and graduated tops in the class,” he said. “Shortly after graduating from school I went aboard the guided missile destroyer USS Coonts (DD-240). Sanzalone and the Coonts spent the next five or six months blockading the coast of Granada against Communist insurgents who were trying to infiltrate the country and take control. Thus began his storied Naval career. “I made Chief in seven years. It usually takes 12 to 15 years. I made Senior Chief after 16 or 17 years in the Navy. I made Master Chief in 19 years,” he explained. He was 38. “On a submarine I was ‘Chief of the Boat.’ It was a very intense leadership role. 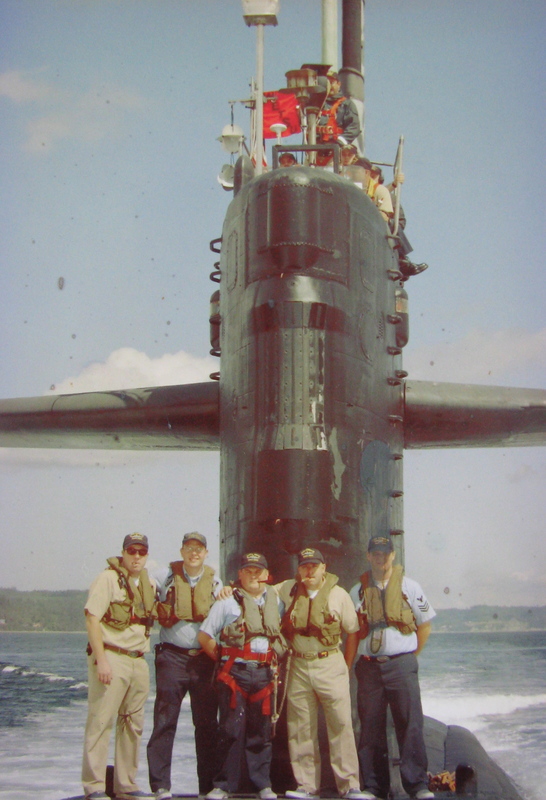 There is a triad of leadership aboard a sub: Commanding Officer, Executive Officer and Chief of the Boat. Most of his Naval career was spent at sea aboard atomic submarines. Most of these subs were attack submarines. “An attack sub is smaller than a ballistic missile submarine. An attack sub is charged with doing surveillance. A Trident Missile sub is primarily used for deterrence. It carries up to 24 nuclear missiles, each with multiple warheads,” he said. All of Sanzalone’s adventures aboard these subs are classified. What he can say is that while serving aboard the destroyer Coonts he got in a discussion with his skipper about his Naval career. “My captain asked me, ‘What do you want to do with your Naval career?’ I told him I wanted to be part of the submarine fleet. He said I was a natural born submariner. “My captain had gotten me into the Submarine Service. After sub school in New London, Conn. I went aboard the attack submarine USS Gato (SSN-615). 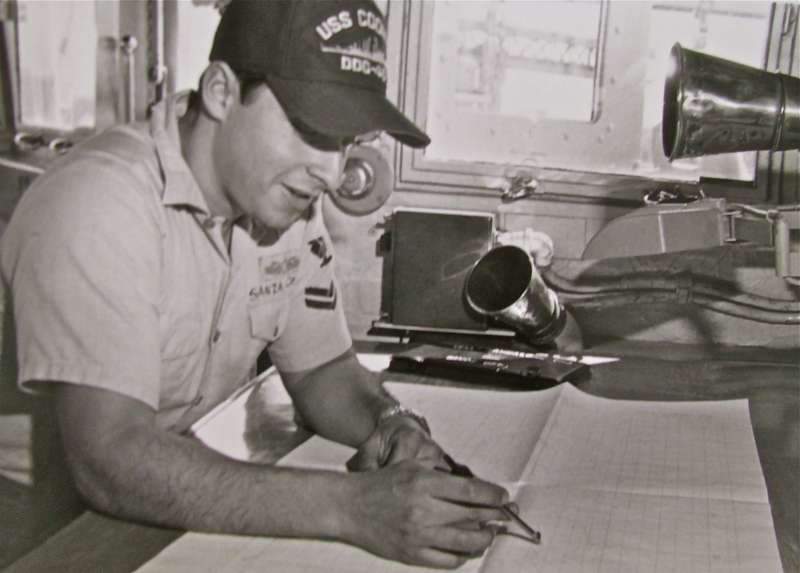 “I was a 2nd class petty officer and a navigator when I went aboard. It was my job to plan the mission and work out the details for the the captain. The most difficult part of the job was preparing for deployment,” he said. It wasn’t too long after making Master Chief, Sanzalone went aboard the attack sub USS Panche (SSD-683). What was his mission aboard the Panche? “I can’t talk about it. Just say it was undersea research and development. “What I can tell you: Of all the submarines I served on, the crew of the Panche was the the most talented group of men I ever served with. Commodore Chas Richards was the commander of the boat when I was aboard. He later became an admiral and was the guy in charge of the Trident missile sub base in Kings Bay, Ga. He was the commander of Submarine Group 10. “I went from there to Submarine Development Squadron 5. It was a broad leadership role that controlled a number of Navy operations around the country. “After that I became the Chief of Boat aboard the newly-commissioned attack submarine USS Jimmy Carter. I got to work with a spectacular crew skippered by Capt. Dave Honabach. 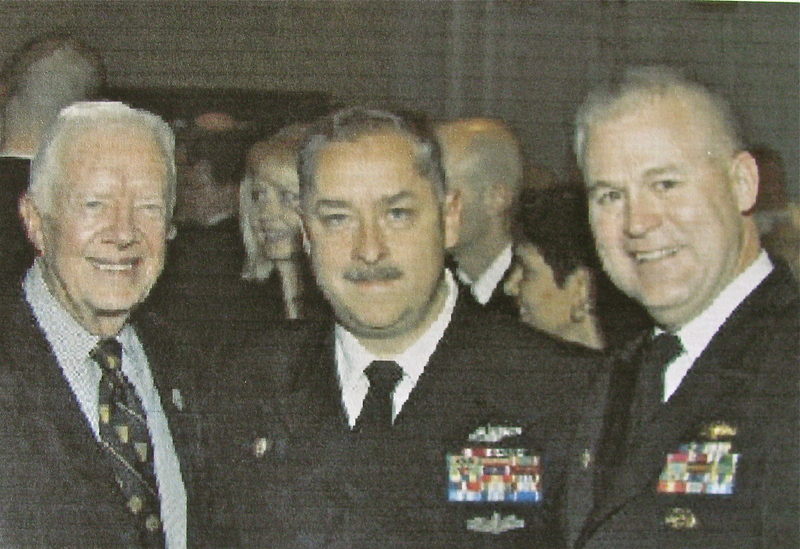 “During the commissioning we got the opportunity to have dinner with former President Carter and Mrs. Hyman Rickover. At one point Jimmy had worked as a young naval lieutenant for Admiral Rickover. “My last duty station was unique. I became a member of Special Submarine Support Detachment out of Washington, D.C. We were headhunters who interviewed people for special Naval operations. We went all over the country interviewing potential candidates. We’d interview 15 people and maybe select one person. Sanzalone finished by noting, “The most difficult job in the Navy was being the wife of a sailor. “I remember all too often standing topside on a submarines looking down at an open hatch as we were getting ready to go out on an operation for six or seven months. “I’m watching my family standing on the pier with tears in their eyes. My wife was about to become the mechanic, cook, cleaner, you name it she did it. My hat’s off to her. When he and his wife, Dawn, retired from the Navy they were living in Washington near Bremerton. “Being a California girl she said she wanted to go some place where it was warm. We found beautiful Charlotte County,” he said. “After six months of retirement I realized I had to find something to do or my wife was going to kill me. Sanzalone ended up working as a member of the Charlotte County Neighborhood Accountability Board. “It’s a program for first offenders under 18 who have committed minor crimes. Our job is to work with these youths from 90 days to a year and get them back on track. Needless to say I talk up a career in the Navy for some of them. “They couldn’t have written a better position for a guy like me. I get the opportunity to mentor and help these youths. There are about 18 of these programs in counties throughout the state. The Sanzalones have three children: Angeline, 23; Stephanie, 20; and Antonio, 15. “It sounds to me like Tony may become a submariner. He’s in Navy ROTC in school right now and doing well,” his old man said. Name: Jack Robert Sanzalone, Jr. This story was first published in the Charlotte Sun newspaper, Port Charlotte, Fla. on Monday, Oct. 28, 2013 and is republished with permission. 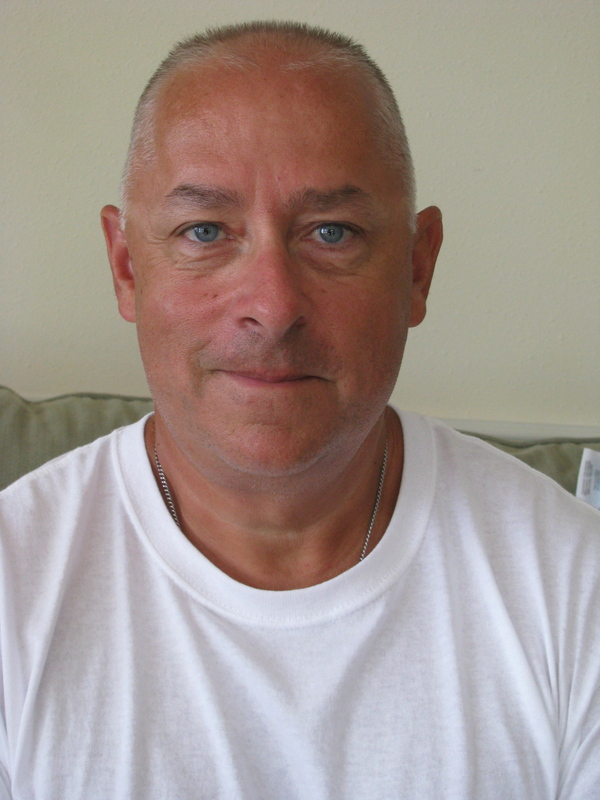 Ahh master chief you will always be the best leader we had in NJROTC at North Port High…….. thank you sir….